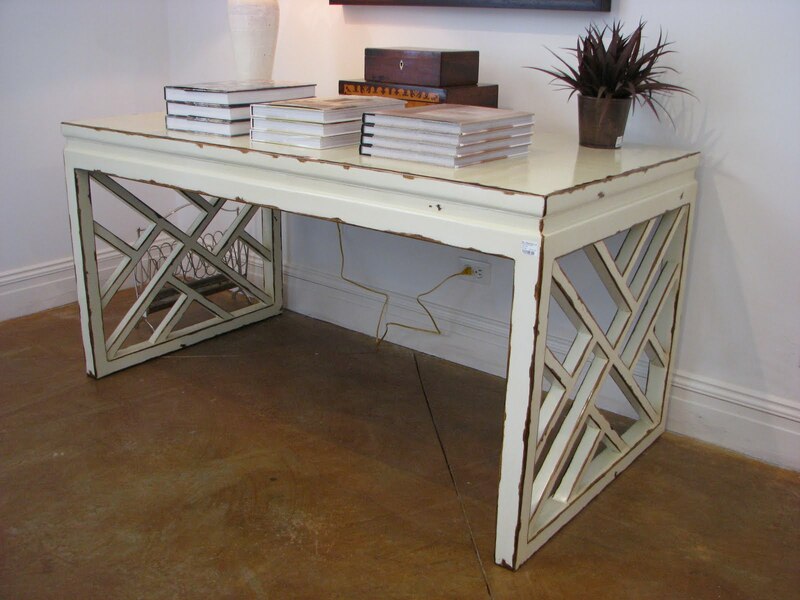 We love the lines of this chic lattice desk and many of the other things for sale at Mrs. Howard Personal Shopper. We would paint it a high-gloss Pratt & Lambert color called African Night [32-18] that we just discovered here. What a perfect place to keep our personal stationery wardrobe! What a gorgeous piece of furniture! While I do like the chippy off-white paint it has now, I'd consider a glossy steel grey, or maybe a high gloss black!